Our madcap tale begins with an anonymous mysterious delivery on New Year’s Day—a penguin, of all things. 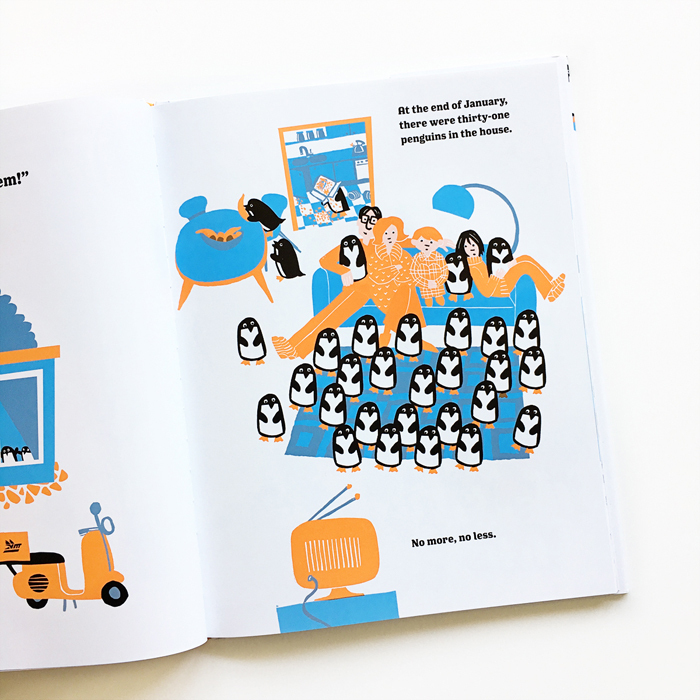 With a note—“I’m number one, feed me when I’m hungry.” Things get weirder and weirder and mayhem ensues as a new penguin arrives each day without fail. Problems begin. Especially since penguins eat 2.5 pounds of fish per day and they like to hog up the bathroom. Complications arise with the advent of summer and the hot season. Decisions need to be made and desperate times call for desperate measures. A ridiculously funny and utterly enjoyable story with marvelous illustrations. 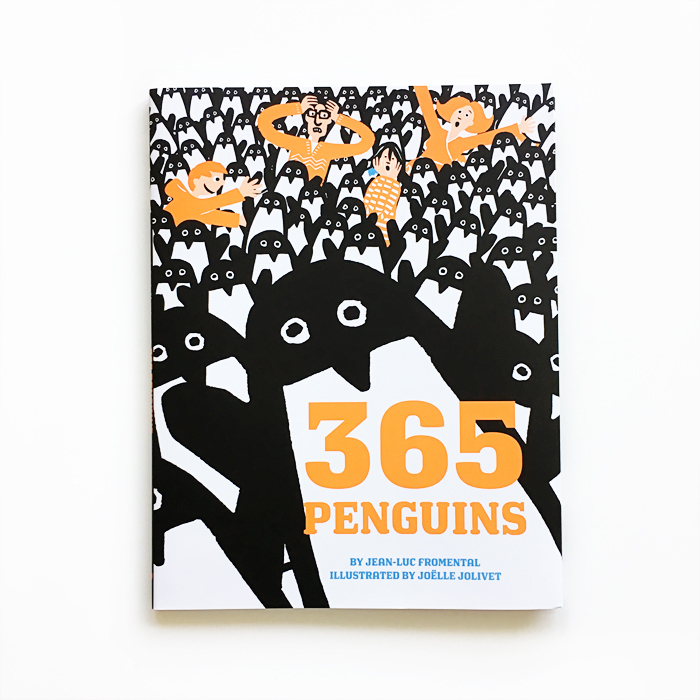 365 Penguins was written by Jean-Luc Fromental, illustrated by Joëlle Jolivet and published by Abrams Books for Young Readers.